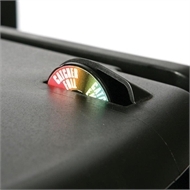 The catcher full indicator indicates when the catcher is full, a safe way to check catcher capacity. 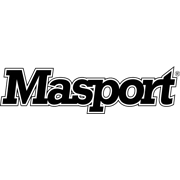 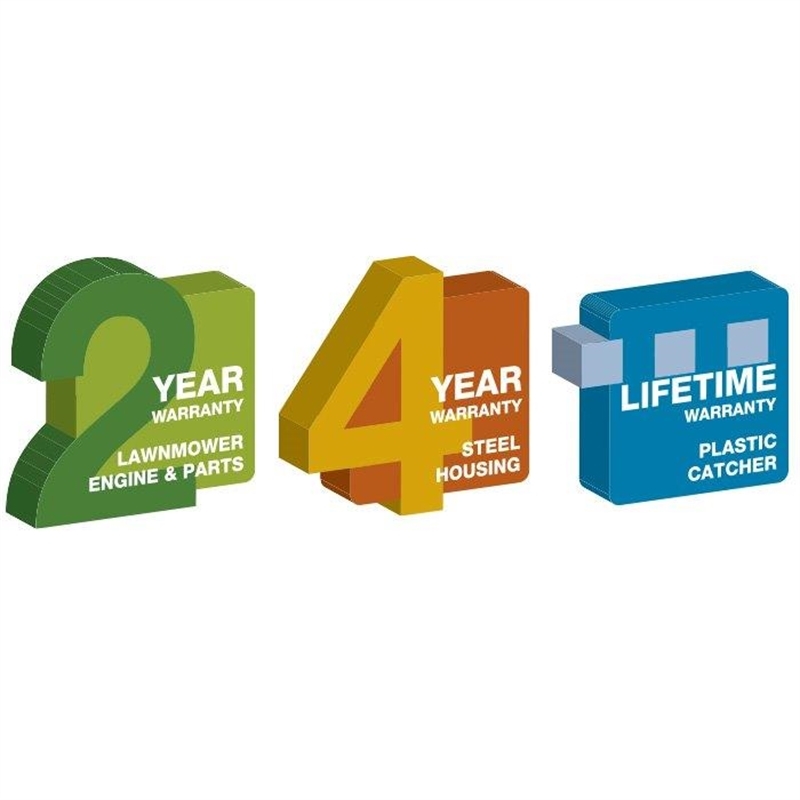 Catcher has a lifetime warranty. 4 hardened swing back blades cut, catch and mulch with precision. 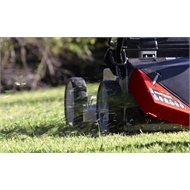 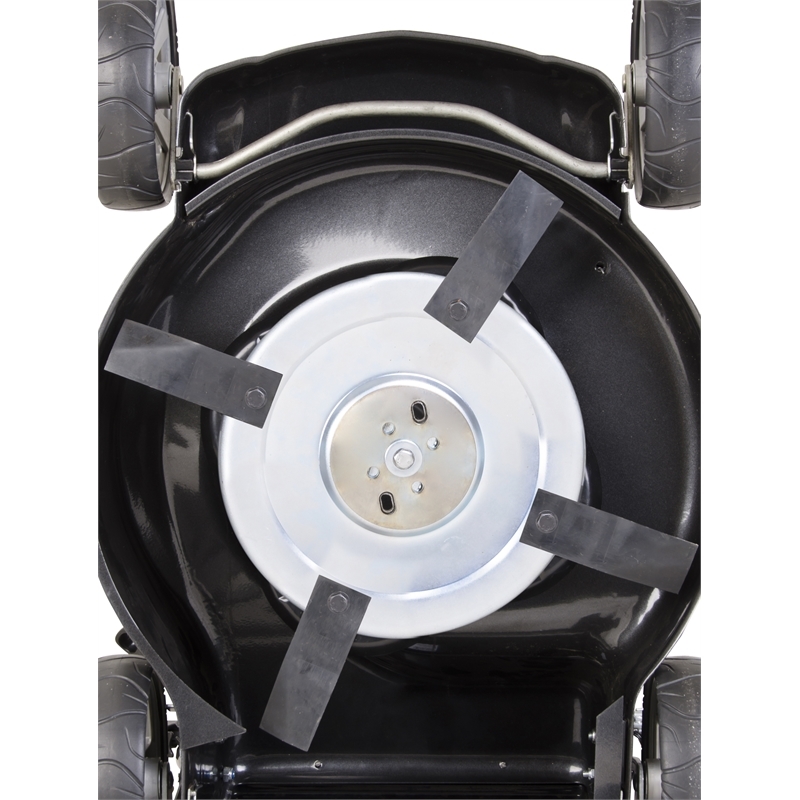 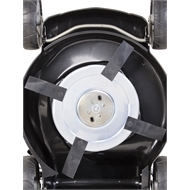 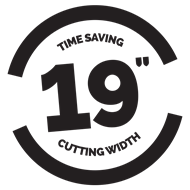 Disc system allows for safer mowing where there is the possibility of hitting hard objects. 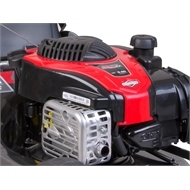 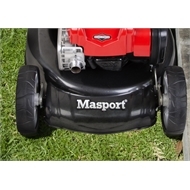 This mower is the true all-rounder of all lawnmowers. Most importantly this is a model that can save you time. 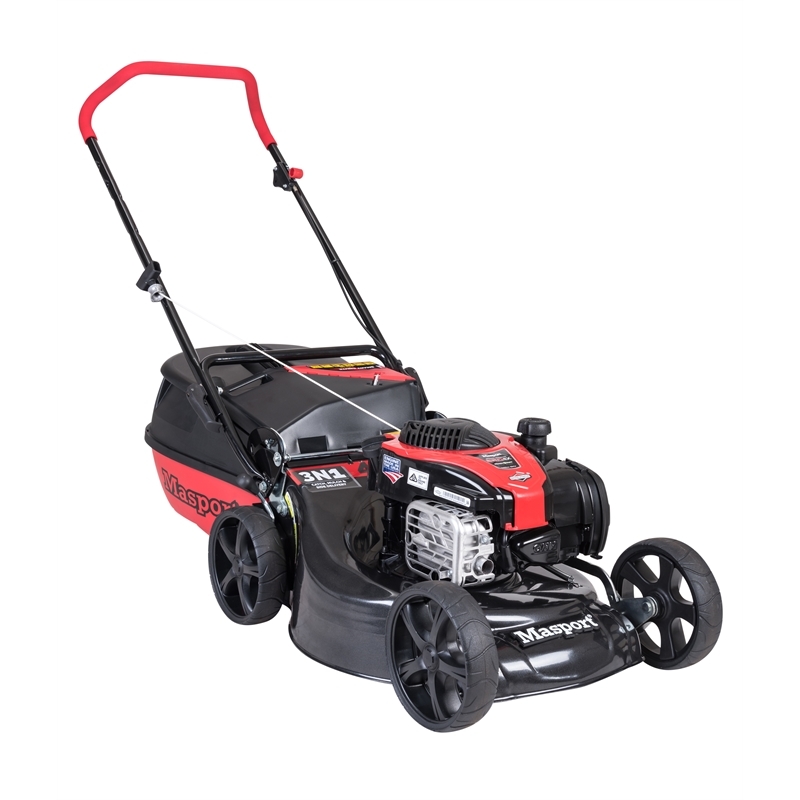 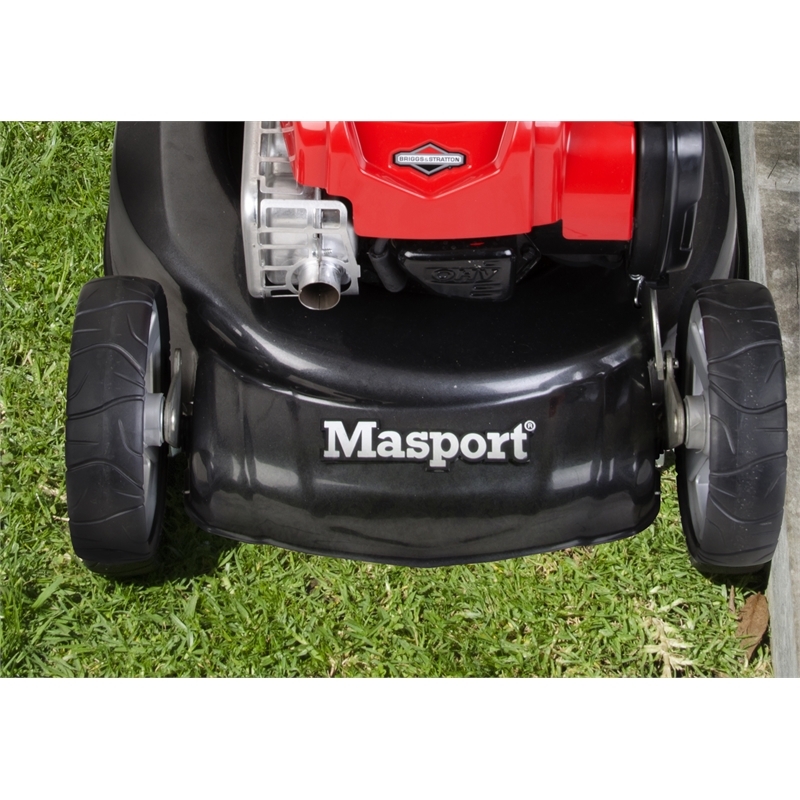 Its wider, not too wide but at 485mm (19”) it will save you time over conventional 16" and 18" models when mowing the lawn. 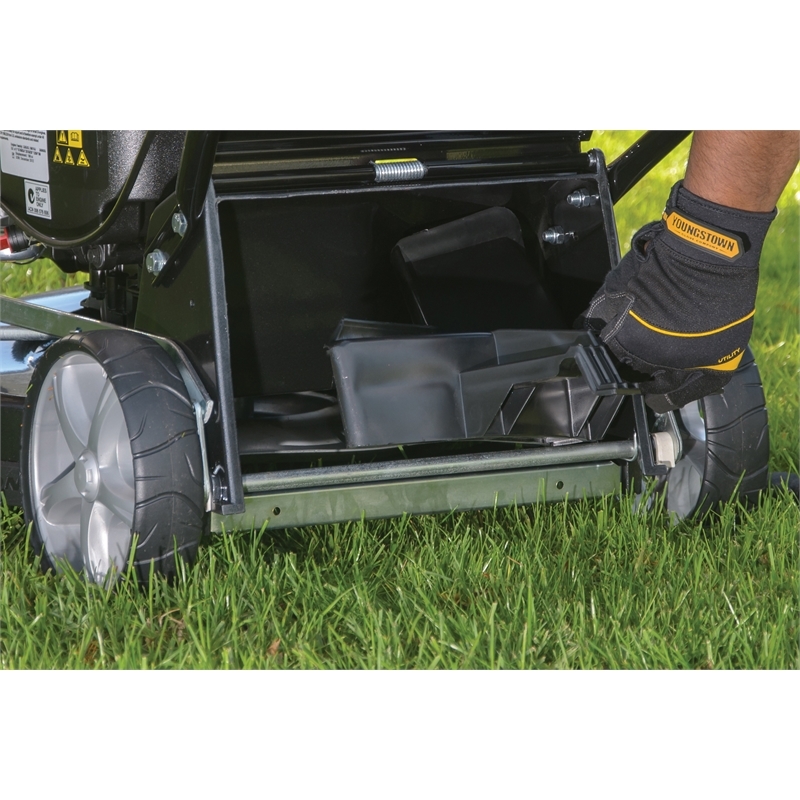 Two other time saving features are, 1/ the mulch plug (mulch the grass neat and tidy without the catcher) and 2/ the Smartchute® - use as a side discharge chute to clear the grass and when you want the groomed clean finish then pop on the catcher; 3n1 at its best. 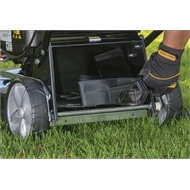 Handle Lift System (HLS) you will love this, easy for storage, easier for catcher and mulch plug access, good thinking! 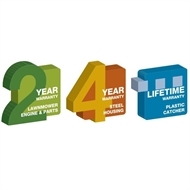 4 Year steel housing warranty.